What can we do to prevent the misrepresentation of First Nations culture from creeping up time and again? Ask First Nations people what they think about the appropriateness of the action you are planning beforehand, writes Don Marks. The latest affront to to the sensitivities of First Nations people comes from Adam Sandler and his movie, Ridiculous Six. 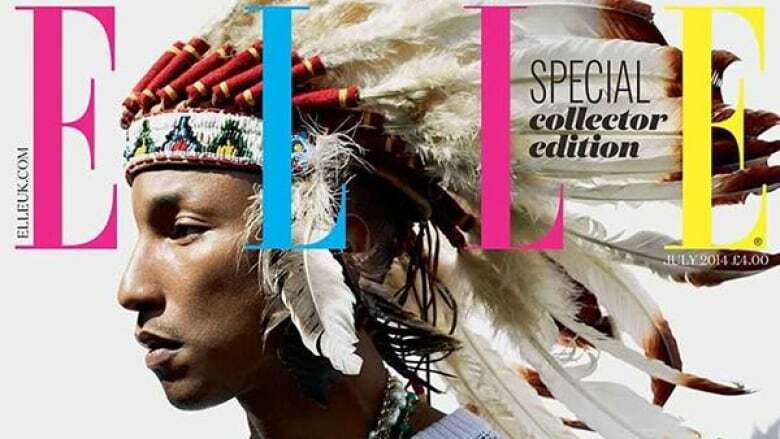 This follows other high-profile incidents: Fans misrepresenting sacred symbols at sports events; citizens and celebrities alike wearing Halloween costumes that degrade native spirituality; fashion shows that exploit the authenticity of indigenous clothing styles — all of which have taken place in the past year. One has to wonder what isolation chamber these people have been living in not to know that using First Nations culture for advertising or entertainment is pretty much bad news: Sooner or later, they are going to get called on it and there is going to be a hullabaloo of complaints. Perhaps these people believe in the old adage, "There's no such thing as bad publicity" — if the controversy draws attention to your product or event, you get free "advertising". Then there could be those who are simply arrogant enough to think they are above the fray; they believe they can brush off the critics by saying they are "too sensitive." And then there are those who are naive enough to think they can convince First Nations they meant no harm and/or the image is actually good for them. So what can we do to prevent this calamity from creeping up time and again? Ask First Nations people what they think about the appropriateness of the action you are planning beforehand. And take the time to listen to and understand the concerns First Nations are raising. Perhaps there is a way to compromise and work together for the common good. We must keep in mind these misunderstandings have been going on for centuries. Indigenous people have learned to keep a watchful eye over the stereotypes and racist symbols that are often used to portray their culture and spirituality. When the U.S. Cavalry met this great Hunkpapa Lakota medicine man who told them he was named for the leader of a herd who would rest on his haunches on a high vantage point to watch for enemies, they called "Resting Monarch on the Plains" by the name "Sitting Bull." It's the same with "He Has the Spirit of his Horses," who came to be called "Crazy Horse." Television shows and movies are the biggest culprits. Sometimes they get away with it because the program is a product of its time and simply reflects that. But when an episode of Mad Men includes a pitch for an ice treat called "Sno-Balls" by featuring pictures of kids throwing real snowballs at teachers, a cop and an "Indian Chief" (the "things kids hate," the pitch man says) you have to wonder why a kid from the '60s would automatically hate Indians. Insults creep into TV shows today, like when a character on Mike and Molly calls Arizona "a furnace full of drunk Indians." The insults Sandler is throwing around have been printed elsewhere, but they are so degrading they are not worth re-printing here. Sandler's insensitivity was exacerbated when the native cast of Ridiculous Six rose up and pointed out that even his oft-accepted crude infantility was going too far. They were simply told, "Well, if you are that sensitive, get off the set." The obvious solution to most of the misrepresentation is to ask First Nations people/leaders what they think of what you intend to do. This is why there hasn't been much outcry over the use of Seminole culture by Florida State University. Unlike most other college and pro sports teams, FSU has asked tribal elders to advise them about how Seminole culture should be represented. It is just as important to listen closely to what the indigenous leaders have to say. Sometimes, in our headlong rush to defend our native friends, we go too far and they end up answering for issues they have not raised. The best example of this is the movie Tonto, which has been widely panned by mainstream critics for, among other things, casting an actor with distant aboriginal heritage (Johnny Depp), costumes which placed a crow on Depp's head, and the fact that neither Depp (Cherokee/Creek) nor the crow (Trickster) were from the same nation as the Tonto character (Comanche). I have asked many of my First Nations friends what they thought of the movie and they all loved it. It's not just because the Tonto character plays the lead this time, but because they know they weren't supposed to have their "cultural faux pas" antennas up for this offering. The movie was a takeoff on a fictional television show — a classic from the '50s genre of westerns. There is no real Tonto and The Lone Ranger was pure fantasy. Shingoose (Ojibway) and comedian Charlie Hill (Oneida) had the same attitude when we produced Heroes Heaven, a comedy sketch about Tonto and The Lone Ranger attempting a comeback. Hill wore suede instead of buckskin and his breech cloth was a terry cloth towel. We even made sure to include some wayward boom microphones in our shots and placed a hair or two on the camera lens. We were trying to be authentic about what we were portraying. If somebody makes a film about "Crazy Horse," one would expect the producers to bend over backwards to get the culture right. "The Lone Ranger" was a completely different thing. Again, how do we know this? We only need to ask. And to listen. Don Marks is a Winnipeg writer and the editor of Grassroots News.